Get behind the wheel of the Jaguar F-TYPE without the commitment. 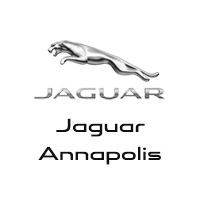 With the Jaguar F-TYPE lease offers available near Edgewater at Jaguar Annapolis, all Crofton drivers can experience the adrenaline rush that can only be provided by the new Jaguar F-TYPE. Get a sense of the Jaguar F-TYPE cost, and then contact the dealership to schedule a test drive and begin the financing process! Reap these benefits and more by taking out a Jaguar F-TYPE lease at Jaguar Annapolis.